Brian McCarty's Blog - Allied Mortgage Group, Inc. In the market for a new home? Purchasing a home is definitely something we don’t do every day. 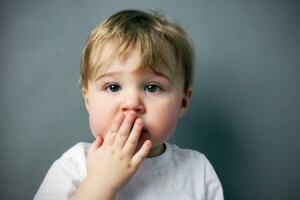 So it’s easy to make mistakes, and when it comes to home buying, mistakes can be costly. Here are some of the most common errors made by first-time buyers, as well as those who already have purchased a home or two before. Shopping before getting pre-approved. Pre-approval is essentially a commitment from a mortgage company to provide you with a home loan up to a certain level based on your financial circumstances. Without consulting with a mortgage company first, you aren’t going to know how much house you can afford. And if you find a home you want to buy, most sellers today may disregard offers from buyers who aren’t pre-approved by a mortgage company. Get pre-approved before you start looking at homes. Looking for homes on your own. Don’t go it alone. You’ll want the experience and knowledge of a real estate agent on your side. An agent can provide another perspective on the home you are thinking about buying and help you avoid common home-buying mistakes. Using up all your cash on a down payment. Many buyers want to put as much as possible down on their home purchase to lower their monthly payment and/or to reduce or eliminate mortgage insurance premiums. Just make sure you have enough cash remaining for unexpected expenses after you’ve bought your home. Skipping the home inspection. Never (ever) skip a home inspection when buying a home, if at all possible. A quality home inspection can reveal critical information about a home’s condition you’ll want to know before you sign on the dotted line. Buying things. Hold off on purchases of items such as furniture before you complete your home purchase. Your home loan pre-approval is dependent on your current financial situation. This isn’t the time to be adding more financial obligations or draining your savings account. Applying for a home loan? As a mortgage borrower, you will have two rates — your mortgage rate and your Annual Percentage Rate, or APR. What is the difference between the two? Your mortgage rate is the base rate you’ll be charged to borrow the money needed to buy your home. This is the rate that directly affects your monthly payment. Your APR takes into account your interest rate and points, mortgage broker fees, and other charges that you have to pay to get your home loan. 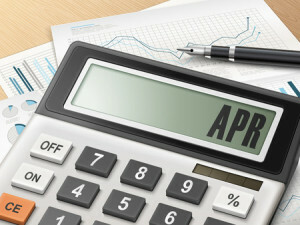 The federal government requires lenders to calculate APR and provide it to consumers. The idea behind the Annual Percentage Rate is to help consumers more accurately compare rates among different lenders and loan products. Your APR is typically higher than your quoted mortgage rate. Many first-time buyers are shocked when reviewing home loan documents to see a higher rate than they had expected. But look carefully. At closing, you should see both your APR and your actual mortgage rate on your loan documents. And don’t forget to ask questions if something doesn’t look right. Review documents carefully while your home loan is being processed and on closing day. How long have you been an inspector? How many inspections have you performed? An inspector should be able to provide an overview of his or her qualifications and background as well as some customer referrals. Ask if the inspector is a member of any state or national inspection organizations, such as the American Society of Home Inspectors, or if they have participated in any type of continuing education. What does your inspection cover? 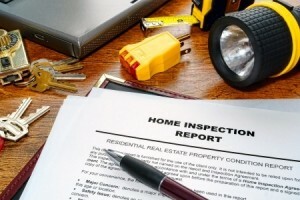 Home inspections typically cover the basic systems of a home, such as the electrical and heating systems, and the roof. If you want more specialized information about a home, such as a radon test, termite report or to certify it has no structural or septic issues, you likely will need to hire a specialist to do those inspections and/or tests. Do you provide a written report? The answer should be ‘yes.’ An inspector should be able to provide samples of the written reports they provide their customers. The report on your property should be furnished within 24 hours of the inspection. Will I be able to attend the inspection? Again, the answer should be ‘yes.’ And you should consider being there during the inspection. It’s a great opportunity to learn a lot about the property you are about to purchase. Some inspections can take two or more hours. Your inspector will play an important role in the purchase of your home. Here are some more questions that can help you choose wisely. The VA home loan program has many benefits. One you may not know about: There’s no specific waiting period after a short sale to apply for a VA loan. Other home loan programs have waiting periods of three or more years after a short sale to apply for another mortgage. A short sale is when you sell your home for less than the balance remaining on your mortgage. Short sales can provide a way for families with real estate issues to get a fresh start and avoid foreclosure. But selling your home via a short sale can make purchasing another home right away difficult. The VA home loan program has flexible underwriting guidelines that can be helpful for families who have had past financial difficulties. It’s one of the ways that the loan program, designed for service members, veterans, and eligible surviving spouses, makes home buying easier. The VA home loan program also allows many borrowers to make a zero percent downpayment. There’s also no private mortgage insurance, which borrowers who make less than a 20 percent downpayment typically must pay. That nifty feature, along with a low mortgage rate, helps keep the monthly payment on VA loans as low as possible. Want to learn more? Start by clicking here to go to our website. When it comes to real estate, the summer home-buying season is the busiest, with many families wanting to be settled in their new homes before school starts. This year, however, home buying and selling activity is expected to remain strong through the last quarter of the year. If you’re thinking of selling your home in late summer or early fall, know that there likely will be a smaller group of potential buyers than there were in June and July. However, those purchasing homes in the fall are often more serious, which can more than make up for the paucity of potential buyers. Before you put your home on the market, make sure your property is clean and tidy. If you have trees that lose their leaves, keep up with the raking. 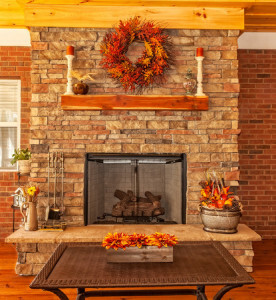 Ideally, there will be no leaves on the ground or dead or dormant plants when a prospective buyer comes by. If it’s still warm enough to use patio furniture, make sure they are still in good condition and clean. Another option would be to put any outdoor items in storage. If you have already moved out of your home, make sure you keep your thermostat at a pleasant temperature. No one wants to be too hot or too cold while touring a home. Also, make sure your home has adequate lighting and if your home is shown in the late afternoon or evening that lights are used. Timers are an easy solution. Lastly, keep seasonal decorations to a minimum. A bit of fall decor here and there is fine, but avoid 20 pumpkins by your front door or a Halloween skeleton hanging from the front porch.